Barbizon St. Louis models were selected for the 2017 Discover Hair Show in St. Louis! 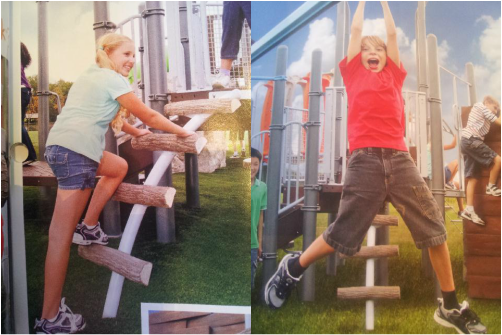 Emerson selected Barbizon St. Louis talent Scott (Middle Right), Lorne (Middle Left, Catherine (Right), and Vanessa (Left) for this ad! ​The Casino Queen selects Barbizon St. Louis Talent, Cristina, Alicia, Rachelle, Tyson, and John to Play! Yes it Pays to Play at the Casino Queen. Nick and Elizabeth "Clean" Their Way on Set! ​"That is more than my monthly car payment!" "That's way more affordable!" says Kristy Barbizon Model/Actress. 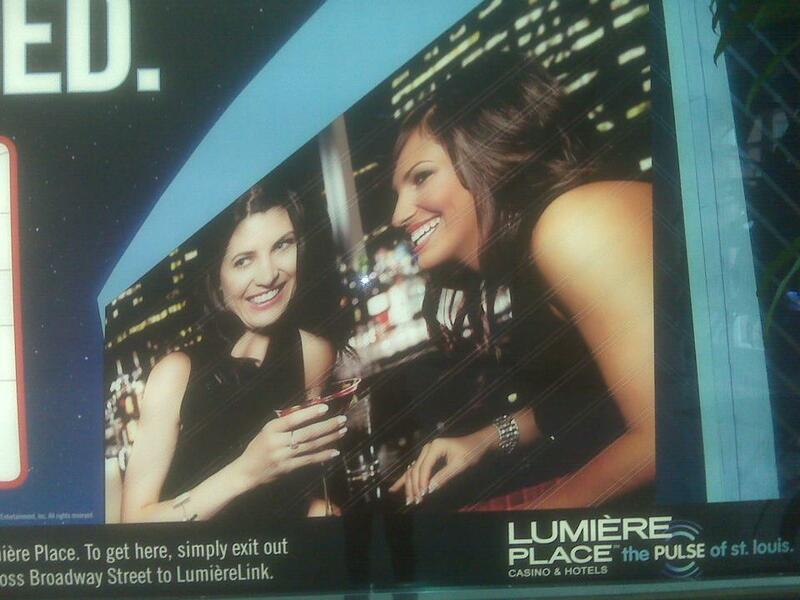 Play the commercial to see Kristy in the spotlight! ​Keep an eye out for Barbizon Model/Actor Aaron as he 'freezes' around St. Louis for the McDonald's Frozen Smoothies. 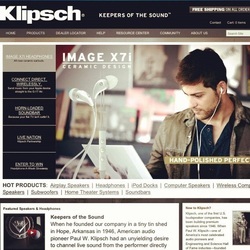 Klipsch selects Barbizon St. Louis Model Nick for International Campaign! Nick will be the feature model representing Klipsch. These ads will appear world wide in print and on the Web. Look for this St. Louis Model to be "heard" around the world representing this high end audio company. Beauty is in the Eyes of the Beholder at Halloween Convention! Our Barbizon St. Louis Models and Actors had a blast as Witches, Zombies, and Baby Dolls at the Halloween Convention that took place here in St. Louis in March! Just ask Alecia and Alyssa who had starring roles. 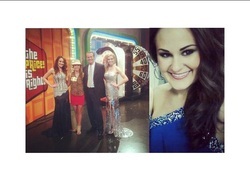 Barbizon Beauty becomes Hostess on Price is Right! Beautiful and well accomplished Barbizon St. Louis Model Katy is the hostess for the 'Price is Right, Live' in Branson, Missouri at the Lawrence Welk Theatre! We encourage everyone to "come on down" and like her page! 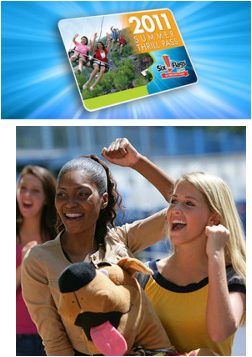 Heading to Six Flags this summer? If you buy a Thrill Pass . . you will see Barbizon St. Louis Model/Actress Kristy featured on the the pass . . feet dangling and hair blowing! Take a look at some of the other Six Flag moments that have appeared on TV Facebook, Billboards, and Internet sites across the United States. Our Talent selected for this opportunity include Ryan, Jarred, Shameka, Kristy, Megan, Antonia, Heather, Tyson, John, Khanel, Felicia, Ashlyn, Jenelle, Jeannie, Abby, Cheneta, Aaron, and Rogers. This group of talent soared above the sky! Kristy, Natalie, and Ryan will be playing on the Phillips Petroleum/U Gas video while you are pumping gas at the St. Charles station. Talented Barbizon Actress lands star role at The Muni! We are super proud of our talented Barbizon Actress Hannah! Hannah will be starring as the lead role in Beauty and the Beast! She will perform as the beautiful Belle! The story centers around a prince who is transformed into a Beast and Belle is imprisoned in his castle. To become a prince again, the Beast must love Belle and win her love in return. Will they fall in love??? Go see Hannah in the spotlight at the Springfield Illinois Muni! Watch this magical story and performance August 10 through August 19. Visit http://www.themuni.org/index.html for full deatils! Way to go Hannah...we know you will shine like a star! Congratulations, Tyson and James. 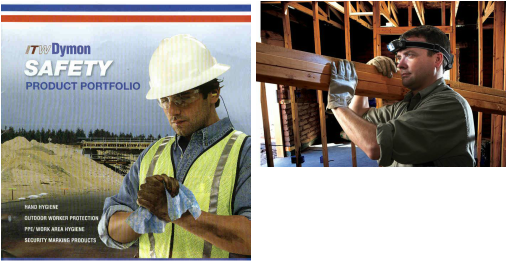 These two models recently had a staring role in a web video for Hand Wipes for the construction industry. 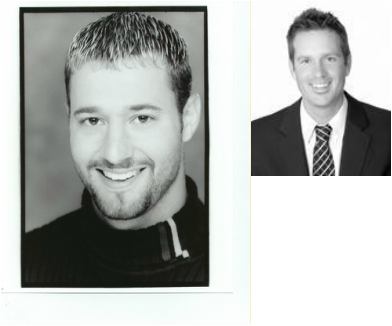 Below, Glen and Scott make their appearance in the construction zone.